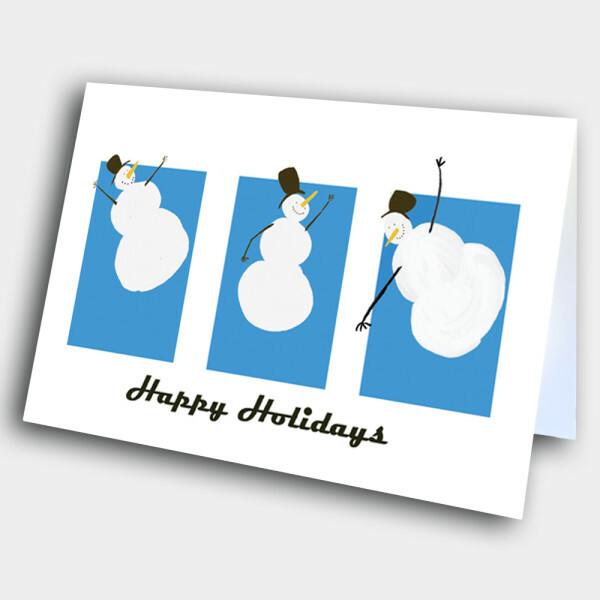 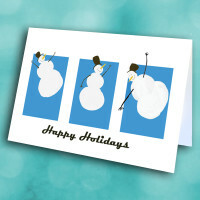 A dancing snowman holiday card, to spread some joy this holiday season. 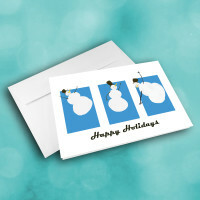 Bring some holiday cheer into the lives of those around you with this festive snowman holiday card. The front is adorned with three, happy dancing snowmen, each enclosed in their own sky-blue frame, above the cool holiday greeting. 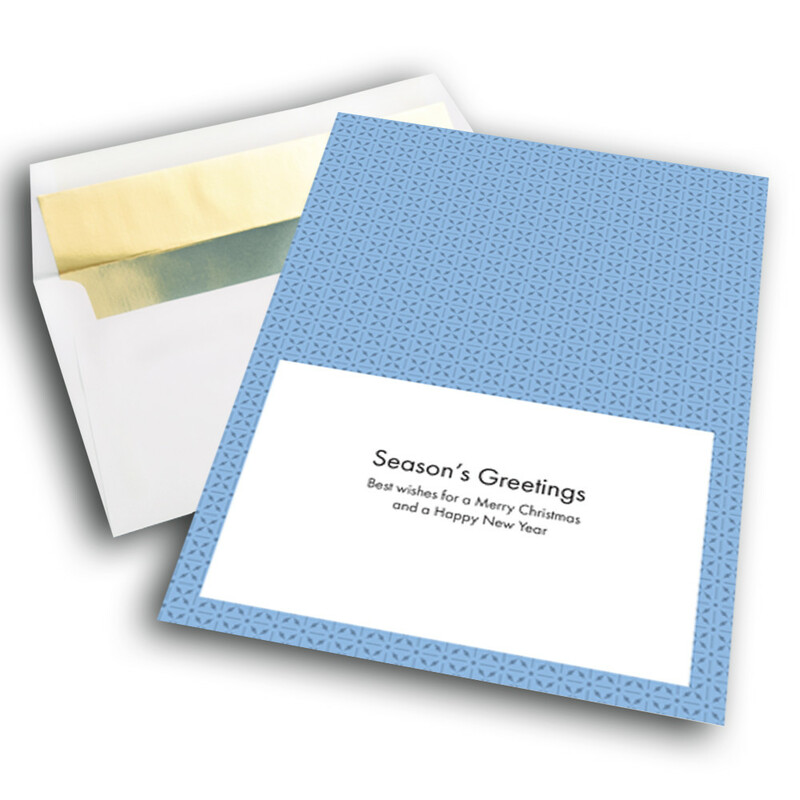 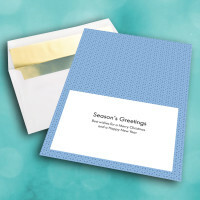 The light-blue, patterned inside contains a simple, warm greeting. 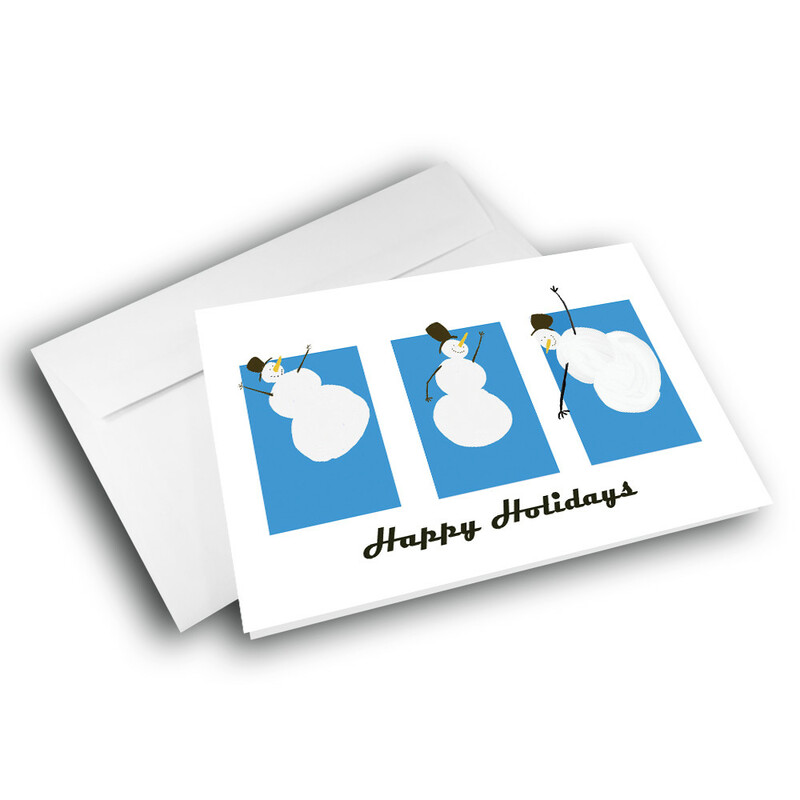 Personalize this greeting to make this holiday card unique and special.